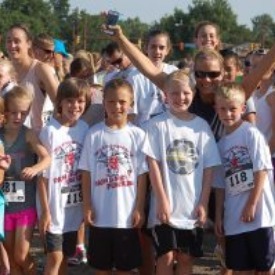 The EDGE 5K Run and Kid 1K Fun Run will be held at the Stenger Soccer Complex on Saturday August 18. ALL profits benefit our TOPSoccer Program (The Outreach Program for Soccer). TOPSoccer is a community-based training and team placement program for young athletes with disabilities, organized by our youth soccer association volunteers. The program is designed to bring the opportunity of learning and playing soccer to any boy or girl, who has a mental or physical disability. There is also a TEAM CHALLENGE and the EDGE team that has the most participants register for the 5K race will win team training shirts for the players, coaches, and manager.